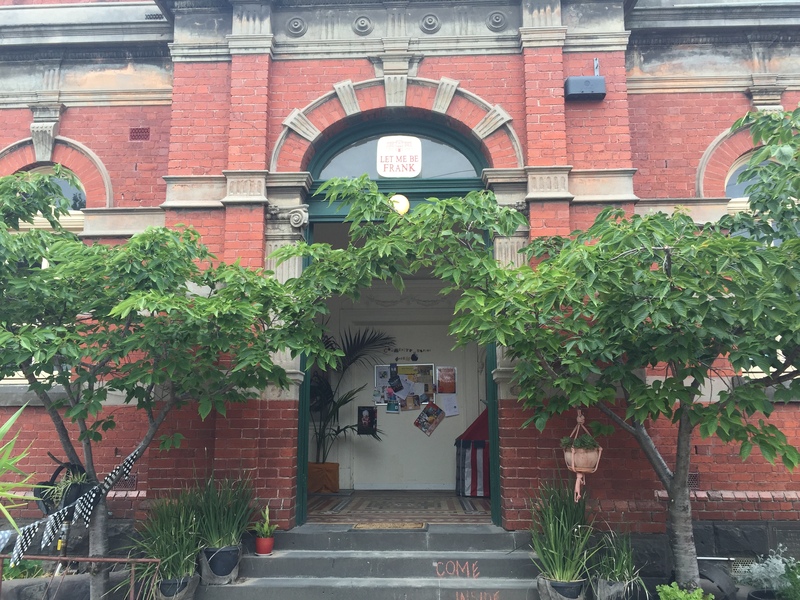 this morning we stayed pretty close to home and popped into “let me frank”, a funky arty cafe set in an old church/school building in south melbourne. the decor is eclectic, high ceilings + artwork on every wall. a mixture of adorable chairs and tables, especially the huge communal table right in the centre of the room, complete with a huge vase of fresh flowers. on a warmer day, the outside courtyard under the umbrellas would be a perfect brunch spot to chill out. 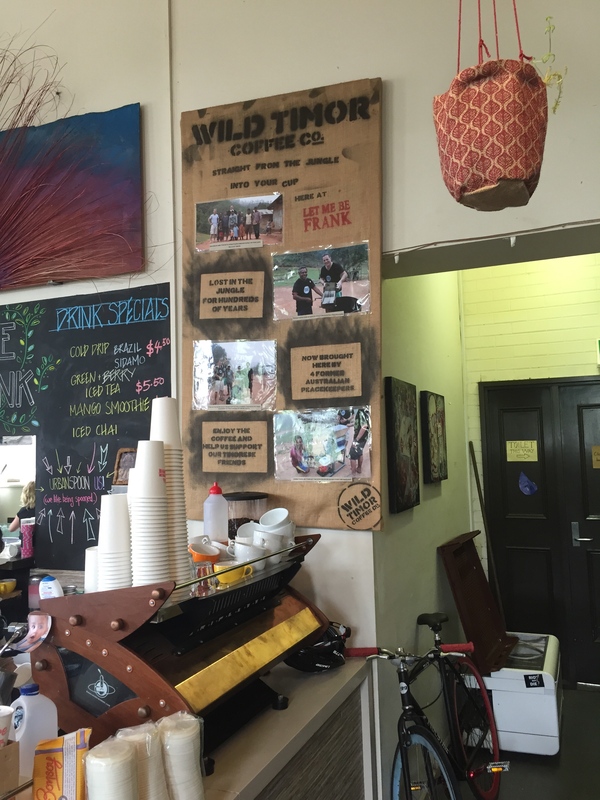 the coffee is a socially-conscious blend called “wild timor coffee co.” brought into australia by four peace-keeping soldiers. you can read more about their story on the website (link above). the coffee has a slight taste of what i would call “wild”… not over-polished/cultivated. simple and strong. really enjoyable. 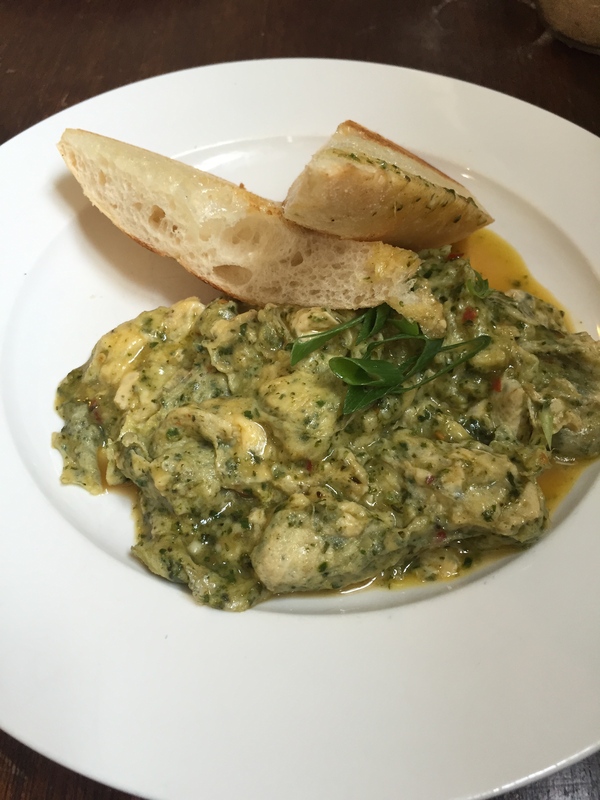 really enjoyable dish with a good kick of chilli. the parmesan made the scrambled eggs extra gooey and creamy. i would’ve probably preferred a few less herbs, but it was still a tasty dish. and the fresh ciabatta was a perfect accompaniment. 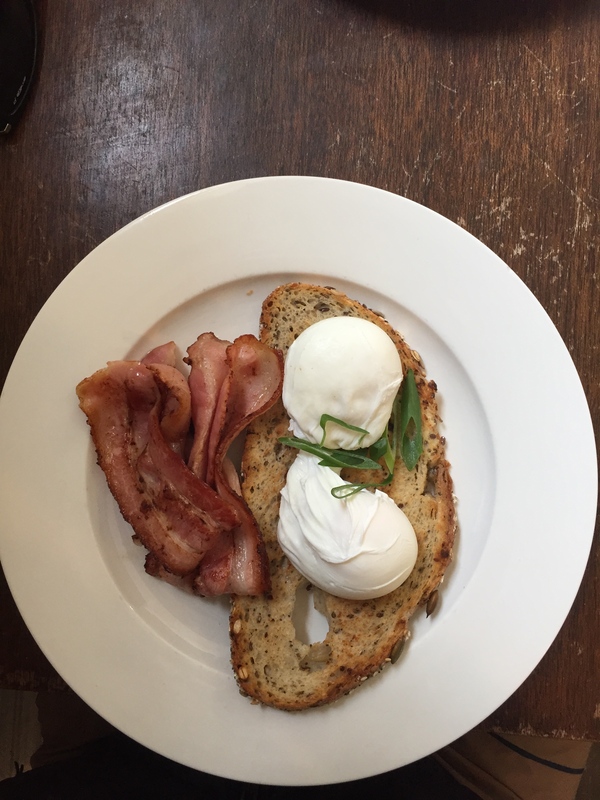 poached eggs + bacon gooey + runny eggs, delicious multi-grain toast + a good serving of bacon. husband was happy. i was very domesticated (and proud of myself) this week + cooked rhubarb at home for the first time. it has given me an extra liking for this vegetable. yes, i even googled this… rhubarb is a vegetable! probably my favourite vegetable that is used in sweet stuff (actually, is it the only?). 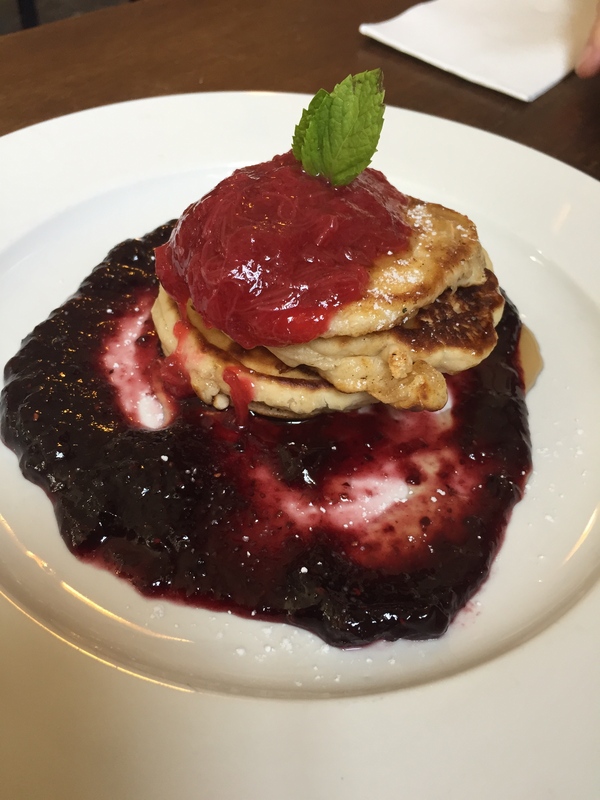 anyway, these buttermilk pancakes were delish! soft + fluffy, and perfectly accompanied by the sweet rhubarb, tart berries + a dash of maple. needless to say these were gone pretty quickly between the two of us! 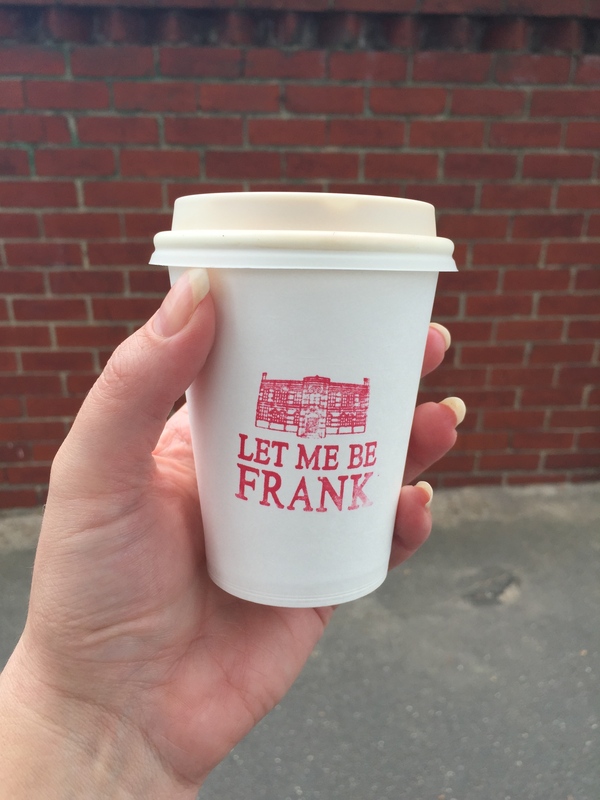 love the takeaway cups too! generally the service was ok, probably could use a splash more friendliness + attentiveness, but once we had placed our order, the food came out really quickly. 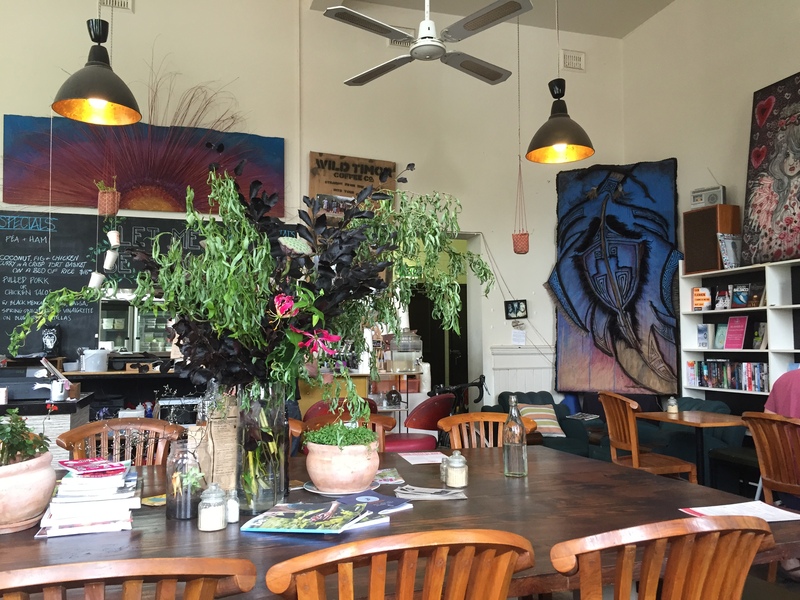 this is a delightful cafe with a feast – not only for the belly, but for the eyes too! the artwork, shelves packed with goodies + books etc. 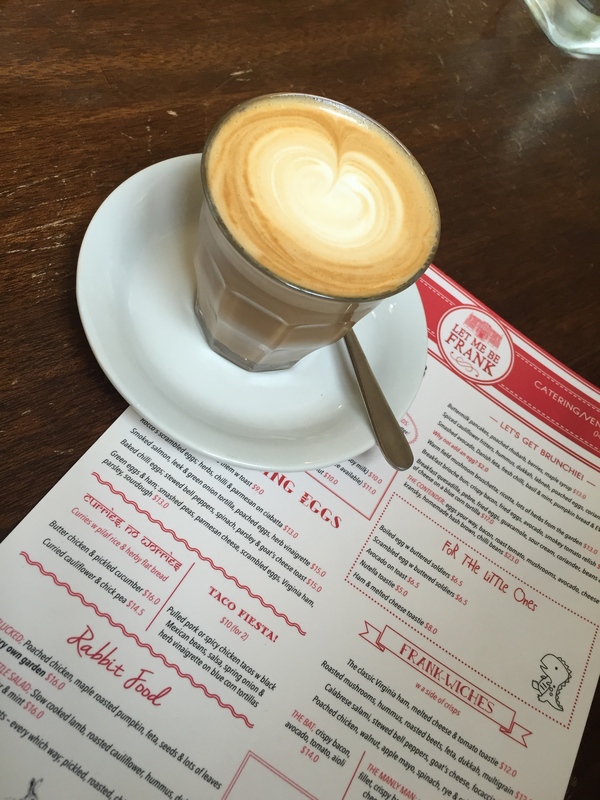 make this a great space to relax, create, write or socialise. verdict: to be be frank … pretty good!